Thy Wicked Court Wig.Includes: One Thy Wicked Court Wig. Available Size: One Size Fits Most Adults and Teens. *Costume Not Included. Accessories Sold Separately. Thy Wicked Court Female Wig includes only one wig. The wig is Silver blackish in color. 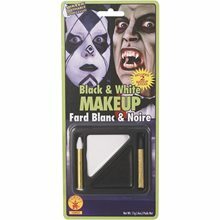 It can go perfectly with your Wicked costume. 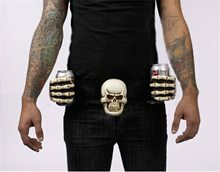 Skeleton Drinking Belt.Includes: One Skeleton Drinking Belt.Available Size: One Size Fits Most Adults. 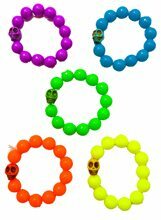 *Two AAA Batteries, Costume and Other Accessories Not Included. Sold Separately.Need room for your Halloween beer?? 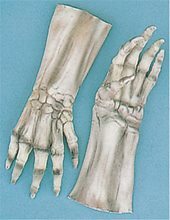 Now you have one for each hand at all times. This belt has a skull center and red LED eyes. 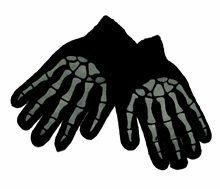 Skeleton hands hold 2 cans for beer, soda or whatever is your Halloween brew! One size fits most adults. Requires 2 AAA batteries (not included)! 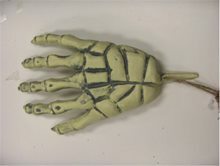 Glow In The Dark Skeleton Hands.Includes: Two Glow In The Dark Skeleton Hands. *Costume and Accessories Not Included. Sold Separately. 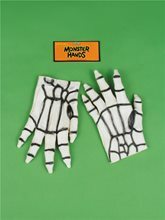 Complete your Halloween decorations with these Glow In The Dark Skeleton Hands!